A New Jersey woman has learned just how far community kindness can go. A few months back, Anne Glancey, a retired teacher, received a notice from city officials telling her she could be fined up to $3,000 for repairs that needed to be made to her home. “She said, ‘I don’t know what I’m going to do, I can’t do this myself.’ And I said, ‘Anne, we’ll help you get this fixed,’” Adam told People.com. Kristin posted a callout to locals on Facebook for people to chip in to help repair Anne’s home, which she’s lived in since she was a child. 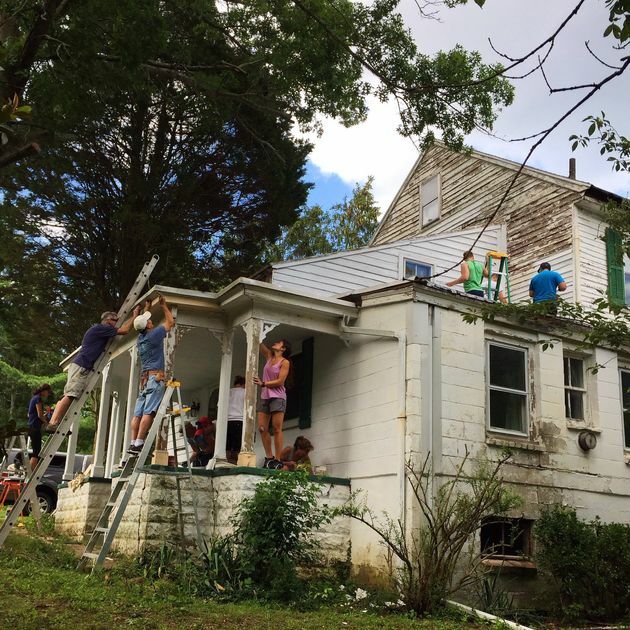 Over 25 volunteers responded, dedicating several hours spread out over a few weekends this summer to fix up the home. 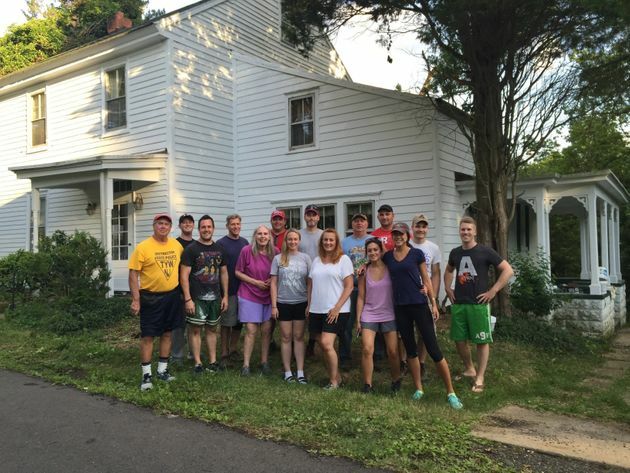 Volunteers brought their own supplies and a local Chick-fil-A restaurant even donated food to fuel the helpers as they fixed the chipped paint all over the exterior of the house, worked on landscaping the lawn and fixing the porch. They even had an old, unused car removed from the driveway and donated to charity. Adam told People he estimates the repairs would have cost Anne thousands of dollars, if not the hefty fine. Local officials say the violations have been cleared thanks to the fixes. “I’m grateful for their helpfulness, generosity and caring…They’re good neighbors,” Anne told The Huffington Post. The homeowner repaid the crews with refreshments and her family’s special carrot cake. As for Adam and Kristin, this is what being a good neighbor is all about. Anne (fifth from left) wth the volunteer crew in front of the renovated house. 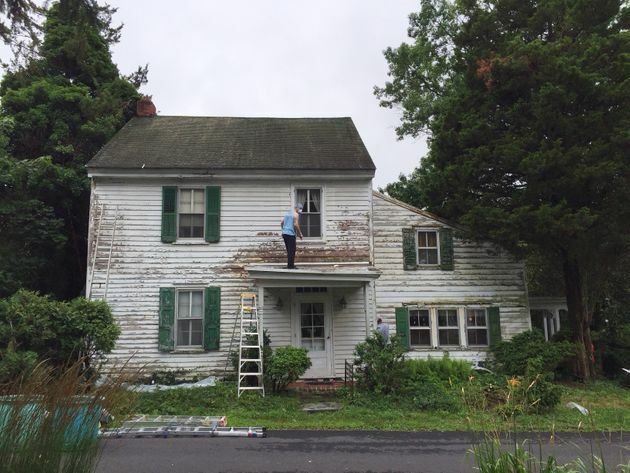 “A little love goes a long way, and just a little scraping, primer, and light carpentry have done a world of difference not only for this little historic home, but for a neighbor’s heart,” Kristin wrote.